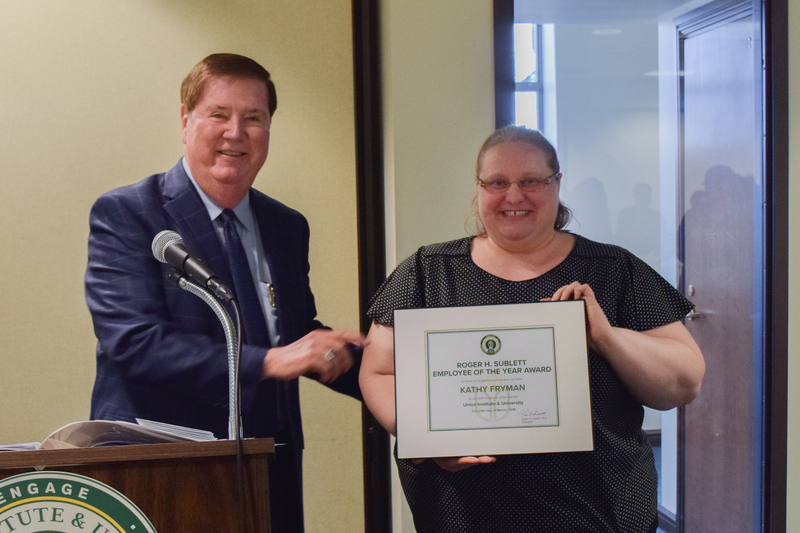 Kathy Fryman, Registration & Academic Records Data Coordinator, is the 2018 Roger H. Sublett Employee of the Year. 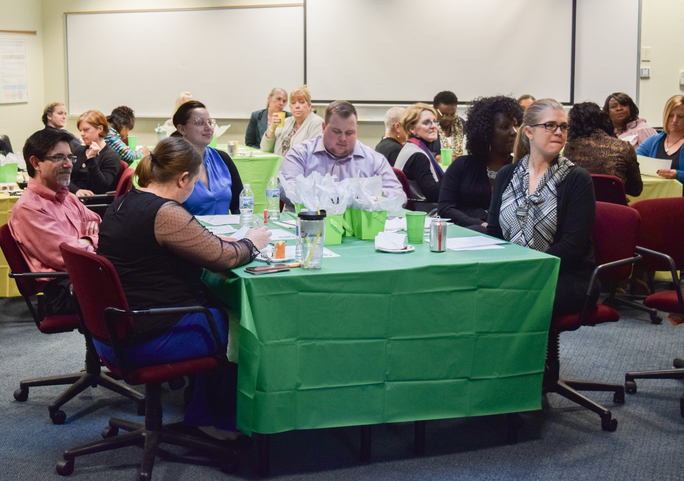 The announcement was made at the annual staff service award luncheon on Thursday, March 29, 2018. Kathy was nominated by her peers along with nine other employees for the award. She was voted by UI&U staff members as the Employee of the Year based on excellence in the performance of her job, embodiment of the UI&U PART values statement (serving UI&U with Professionalism, Accountability, Respect and Teamwork), and whose work and work ethic demonstrates a commitment to UI&U that is over and above normal job expectations. Her nominee wrote this about Kathy. 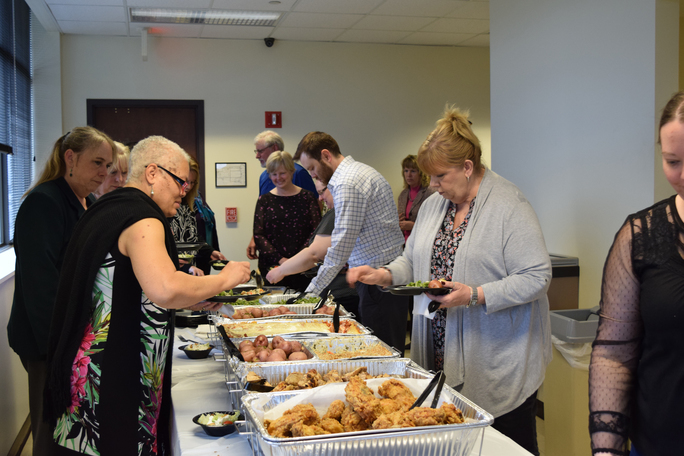 “Kathy Fryman has been an integral part of the UIU team for over 10 years. Kathy always meets each stakeholder with professionalism, respect and personalizes the experience with a smile. She is extremely knowledgeable and makes sure that when she interacts with other coworkers that she shares the knowledge so that all can be educated about how to deliver the best service to make the behind the scenes work move smoothly. Congratulations to all Union employees who make Union a great place to work!  Union Institute & University is a great place to work because of its commitment to engage, enlighten, and empower students to pursue professional goals and a lifetime of learning, service, and social responsibility. 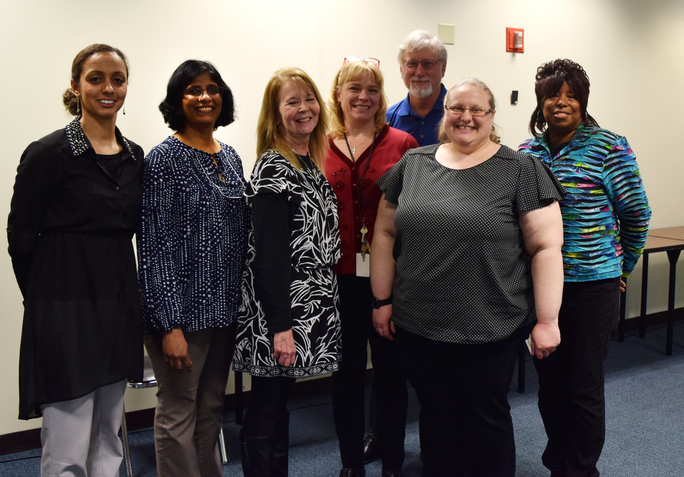 Learn how faculty and staff can assist you in your career goals. Click below.